In the years since directing the Oscar-winning musical “Chicago” nearly 12 years ago, Rob Marshall has been in desperate need of a hit. He was sort of looking like a one-hit wonder after helming the beautiful-looking but underwhelming “Memoirs of a Geisha” and “Nine.” Even a foray into the "Pirates of the Caribbean" franchise didn’t do much to prove he was able to direct something as great as his directorial debut. Now we have the long awaited (for many) release of the Broadway classic “Into the Woods” which brings together lots of well-known fairy tale characters and interweaves a fascinating story about curses, giants, and a large forest where magical things happen. I can finally say Mr. Marshall has finally given his “Chicago” fans another film they can love as “Into the Woods” is a wild success offering wonderful characters, a fun story, an equal dose of drama and comedy, and catchy songs you’ll be singing along to without a doubt. Having not known much about the original Broadway show “Into the Woods” I went in not expecting too much and I left pleasantly surprised. Composer and lyricist Steven Sondheim and book writer James Lapine (who also wrote the screenplay) have crafted a truly wonderful story – it’s as light as it is dark – that takes a bunch of fairy tale characters and creates a sort of Robert Altman story where certain characters cross paths and affect each other’s stories. The main plot concerns a baker (James Corden) and his nameless wife (Emily Blunt). They have been unable to conceive a child and they want one dearly. It turns out the old witch next door (Meryl Streep) had placed a curse on the baker’s family. She offers them a chance to reverse the curse if they can bring her four specific items from the woods that include references to Jack from Jack and the Beanstalk, Rapunzel, Cinderella, and Little Red Riding Hood. It’s pretty amazing how well these interlocking stories work together. Each character has some sort of wish or ultimate goal and each is affected by the actions of the other characters. When Jack heads into the woods to sell his family’s cow, the baker’s wife offers him seemingly worthless beans given to her by the witch. And we all fill in the blanks in the story once we see that the beans have created a giant beanstalk headed for the sky. Cinderella (Anna Kendrick) who longs to live in the castle with the prince (Chris Pine) gets a chance to attend the ball but after realizes the prince may not be her cup of tea. It’s the baker’s wife who sets her eyes on the charming prince. All of these fun vignettes are interwoven with brilliant songs that exhibit the characters’ ultimate desires and wants. But as the old saying goes, “be careful what you wish for.” And if you think you know how all these famous stories will end you’re dead wrong. The film’s already established story is extremely strong so Marshall has a tremendous foundation to work from. And unlike the songs-as-fantasy element he perfected in “Chicago” he takes another road here and let’s characters break out into song when necessary. By now we’re all pretty much used to it, especially since the general tone of the film is of a live action Disney musical. “Into the Woods” has its dark elements; it seems as though the entire point of the film was to actually going against the whole good-natured Disney work but here we have Into the Woods as a Disney production. And even if the film carries a family-friendly PG rating there’s enough here to satisfy adults and plenty here to scare even the most desensitized young child. Again one of the strongest elements of “Into the Woods” besides its fantastic story and its wonderful songs, are the company of actors who have brought the movie to life. Streep is a wonder to behold as always as the scene-stealing old witch. Blunt is simply delightful as the Baker’s wife and has an amazing voice. Many will be rather impressed with Chris Pine’s crooning. He hams it up with fellow prince co-star Billy Magnussen (who’s storyline with Rapunzel feels the weakest and most underdeveloped in the entire film) in perfectly campy and hilarious sequence as they sing about longing after the loves of their lives. The entire ensemble is really amazing. 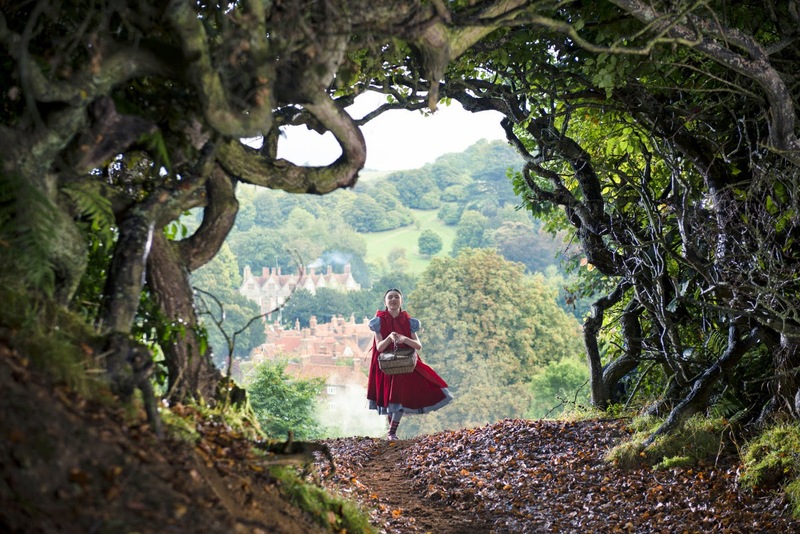 Trailer for Into the Woods on TrailerAddict.